Among Houston Medical Center hotels, the Springhill Suites Houston Medical Center hotel offers the refreshing services you deserve. Our spacious suites are a breath of fresh air that offers modern d cor in our separate bedroom and living areas that includes a mini-fridge, microwave & 32" flat screen TV. 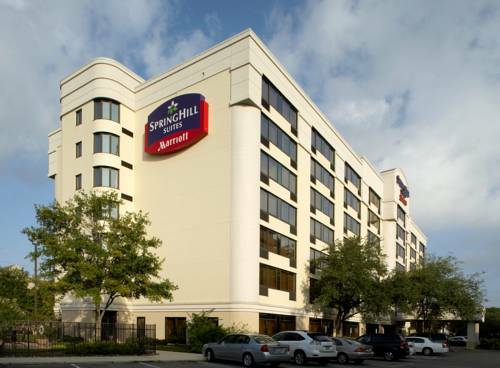 SpringHill Suites Houston Medical Center hotel will help you revive with our complimentary hot breakfast buffet. At this Marriott Houston hotel take advantage of the outdoor pool & whirlpool, fitness or business center & one meeting room perfect for gatherings of up to 50 people. SpringHill Suites Houston Medical Center hotel is ideally located in the heart of the Texas Medical Center and NRG Park section of Bayou City. This Houston hotel is near NRG Stadium/ NRG Park, Hermann Park Zoo and Toyota Center. With some of the friendliest staff among Houston hotels, the Springhill Suites Houston Medical Center/NRG Park hotel is ready to exceed your expectations!